Portillo has some of the deepest snow on the continent and after another 10cm (four inches) of snow took seasonal accumulation past 4.1m (Nearly 14 feet) in the last week it reports conditions as ‘packed powder'. Base depths range from 1.2m (four feet) at the hotel to 1.55m (over five feet) on the mountain. La Parva is also reporting great snow conditions with base depths of up to 205cm (just under seven feet) while Valle Nevado says it has received 265cm (nine feet) of snow to date but that slope depths are around 60cm (two feet). In Argentina, Las Lenas reports a base depth of between 90cm (three feet) at the base and 125cm (over four feet) at the summit of the slopes. All lifts and runs are open, as well as the resort's terrain park. Elsewhere in the country the continent's biggest resort, Catedral, reports a 90cm (three foot) base. 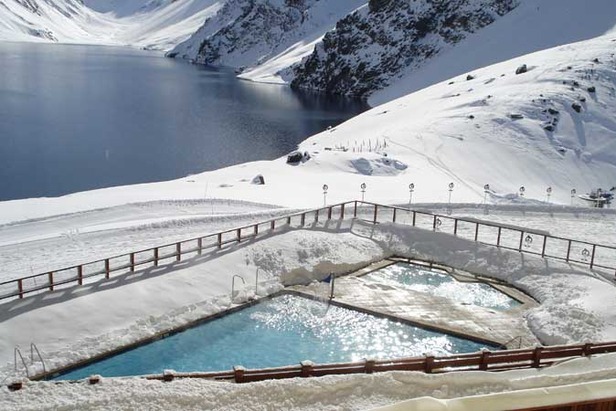 Other Argentinian areas have more challenging conditions, for example Chapelco notes only 32cm (13 inches) on the mountain and no snow at the resort's base.